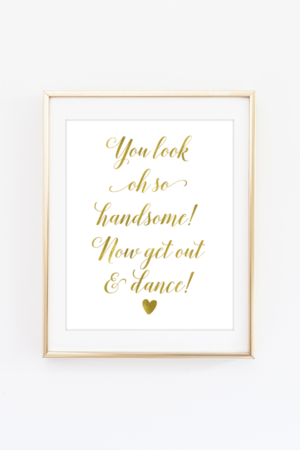 If your decorating style is more glamorous than traditional, then you may like to decorate with glam Christmas decor as well. 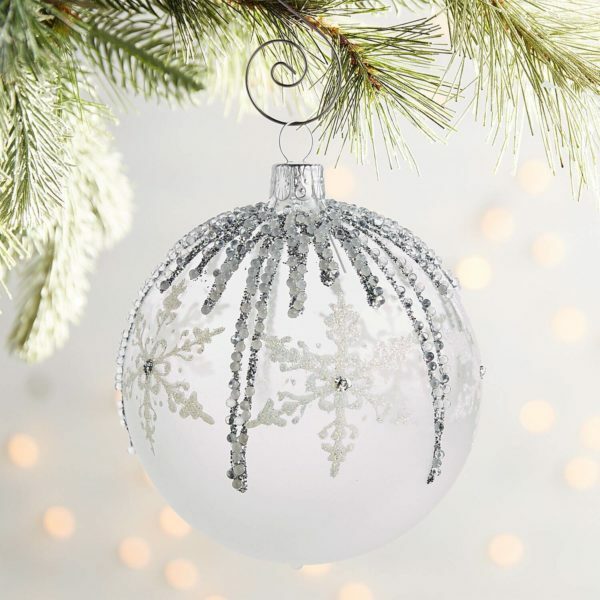 We found 15 gorgeous glam Christmas decorations that will elevate your Christmas decor. 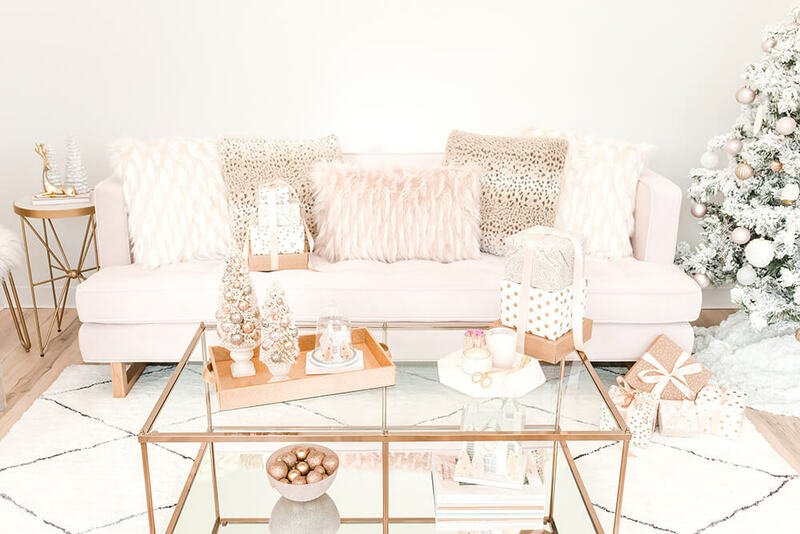 From sparkling Christmas ornaments to gorgeous beaded pillows, your home will look extra glam this year with these decorations. The gorgeous beaded tree topper is the perfect addition to a glam Christmas tree. 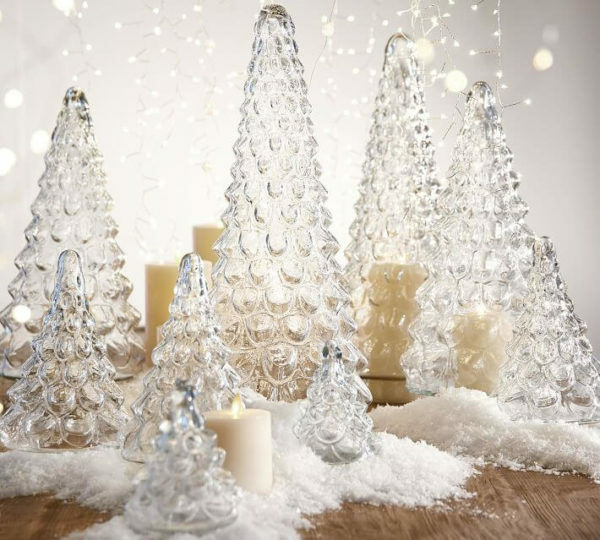 These glass trees are very chic. 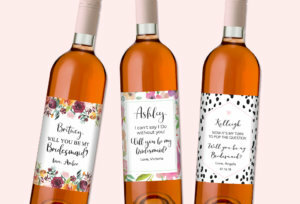 They come in multiple sizes so that you can create a tree display if you’d like. Nothing is more glam then metallics. 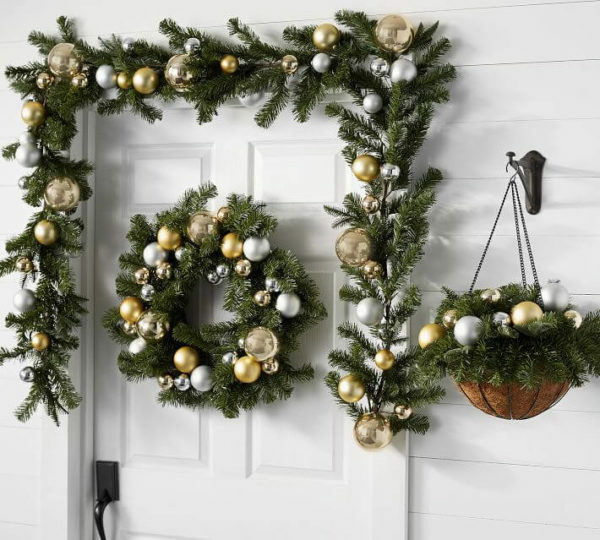 This gold and silver ornament pine decor is available as a wreath, a garland or a basket. Add a glam factor to your Christmas stockings. 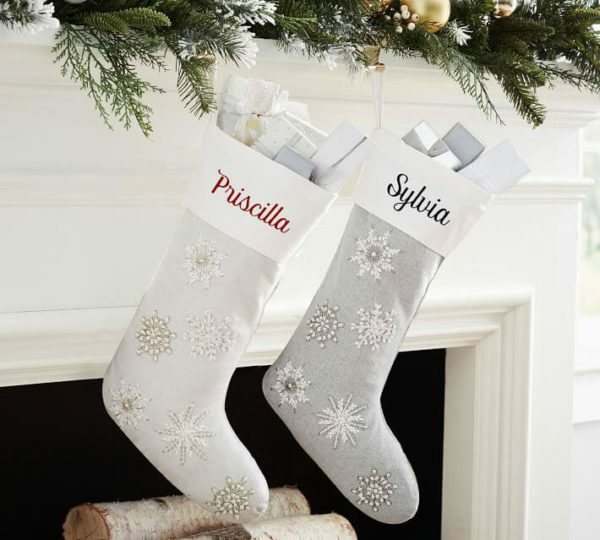 These stockings are beaded with snowflakes and can be personalized with a name or monogram. 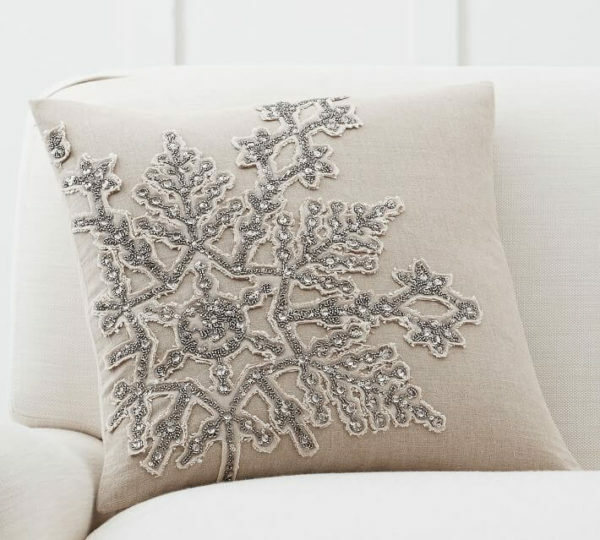 This lovely beaded snowflake pillow will add some glam to your couch. 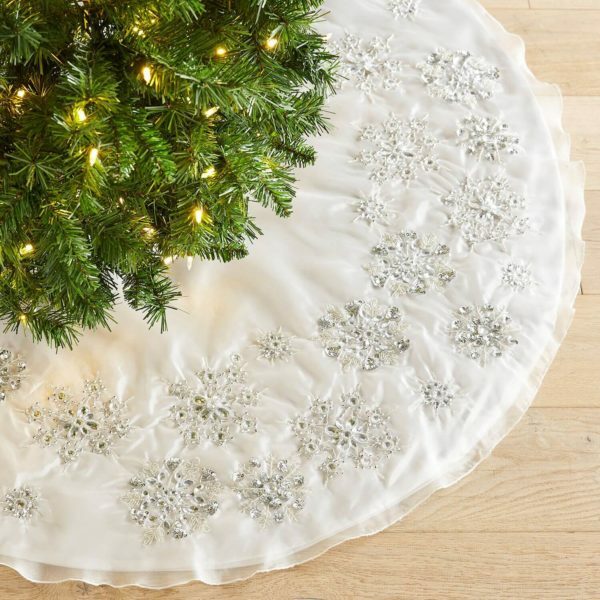 This gorgeous beaded tree skirt is extra glam. 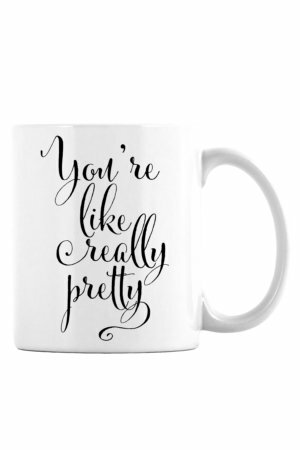 It’s the perfect accent to a glam tree. 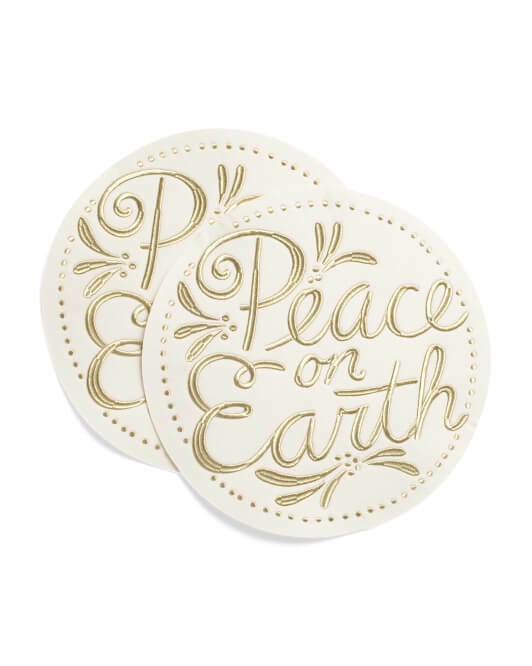 This set of place mats is embroidered in gold with the phrase ‘Peace on Earth’. 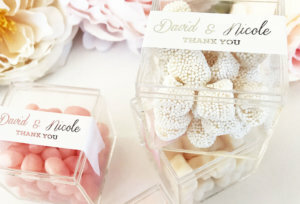 They are the perfect glam dining table decor. 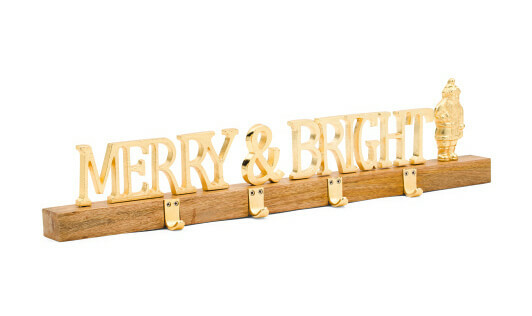 This glam merry and bright stocking holder is perfect to hold your Christmas stockings if you don’t have a fireplace. 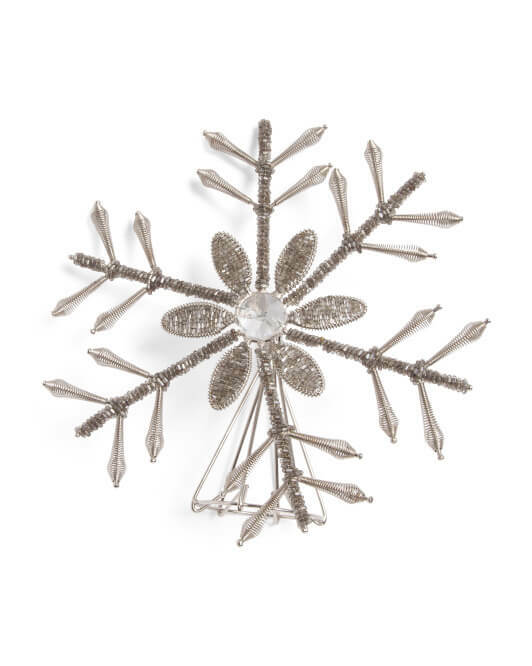 This frosted snowflake ornament is hand painted and handblown. 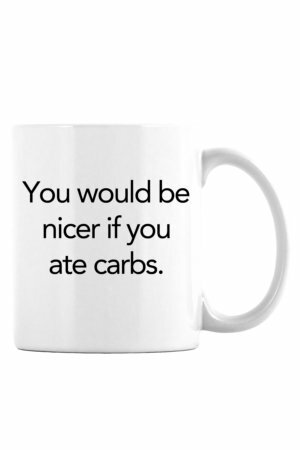 It includes glittery glam snowflakes. 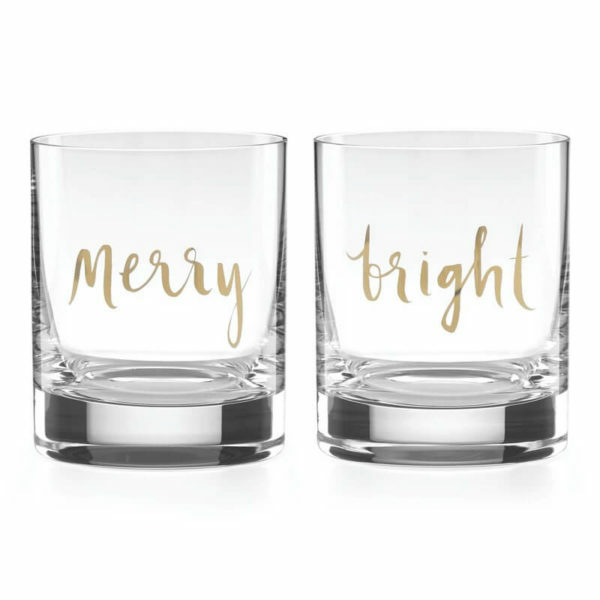 Drink your holiday themed drinks with this set of glasses by Kate Spade. Both glasses are inscribed in gold. 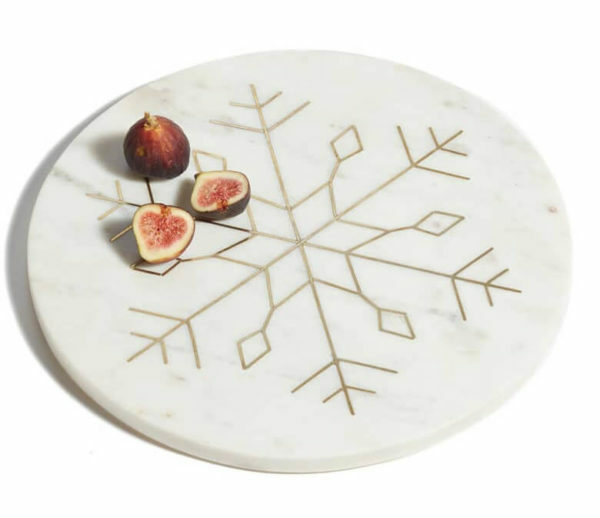 Use this festive marble serving tray at a holiday party or any other holiday get together. 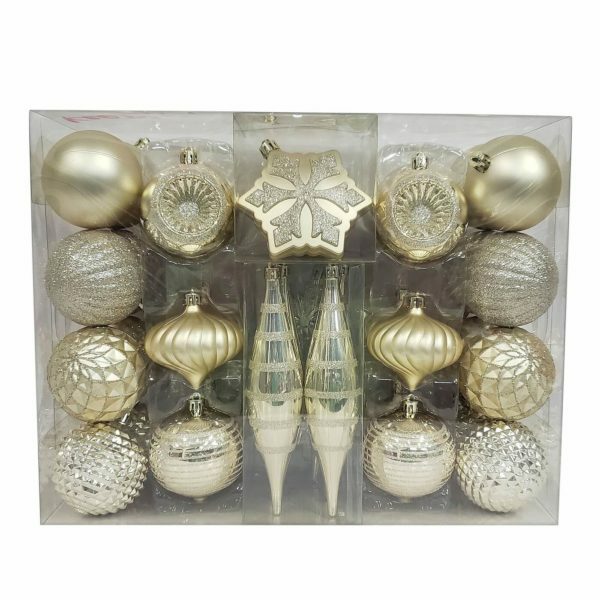 This 40 piece set of champagne colored hanging ornaments has fun shapes, finishes and textures to add a dash of elegance and dazzle to your Christmas decor. 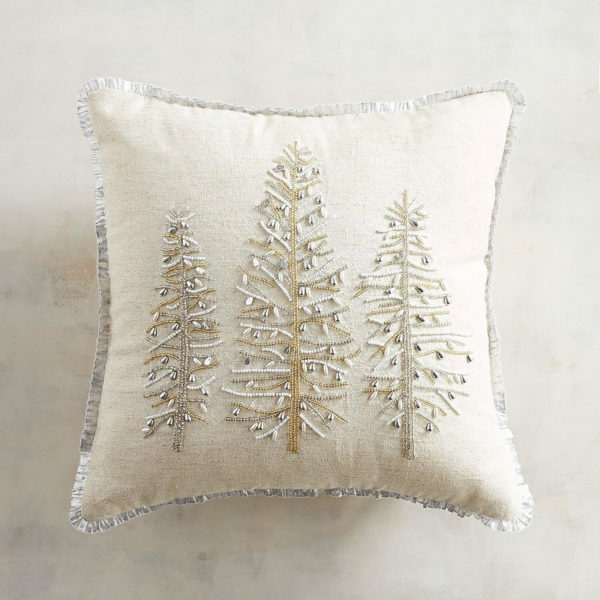 This festive glam pillow has three beaded tress in gold and silver. 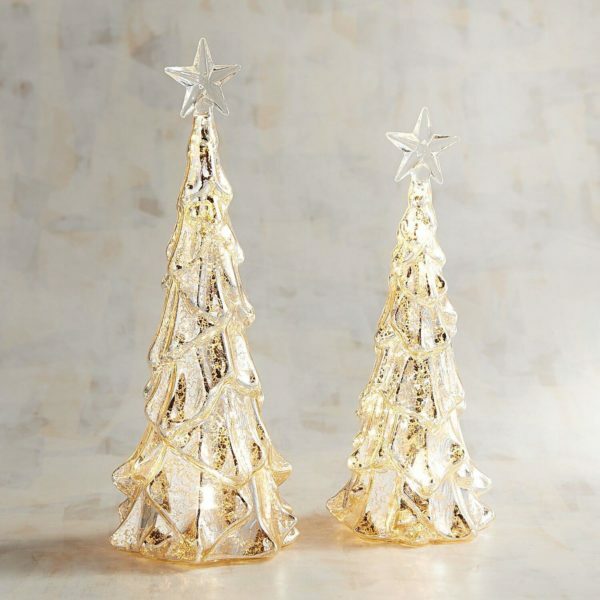 These handcrafted glass trees feature a traditional star topper and an LED for illuminating holiday evenings. 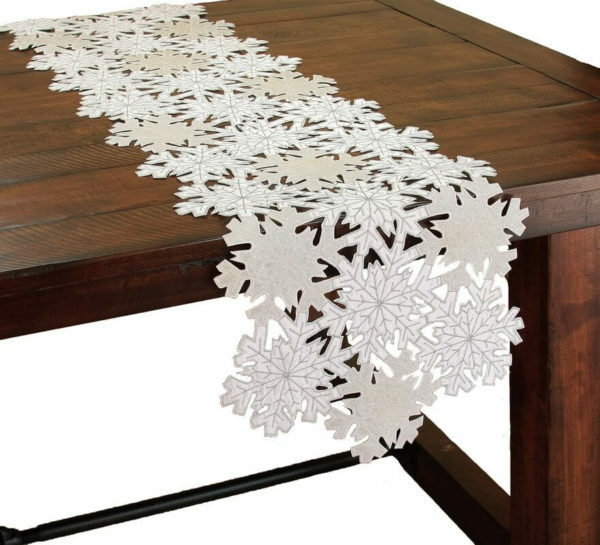 This shimmer snowflake table runner will help you set the dinner table in style. 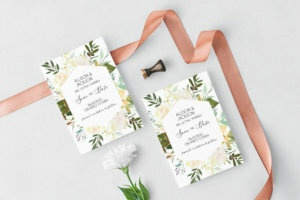 It includes cutwork snowflakes and shimmery embroidery.